We will support total Gear productions from prototype to mass production. We have been specializing in products with large amounts mainly for automobiles. Thanks to that, we were able to accumulate lots of know-how in gear manufacturing. Utilizing its know-how, we will actively work on small, high-precision, high-precision products of many models in the future. The prototyping department which can deliver the prototype at the development stage in a short time and high quality can be delivered and also learned the technology which can be manufactured with short delivery time without using special tools. In 2008, taking advantage of that experience, we started business in Thailand. Then, in 2015, we have completed 2nd new Factory. 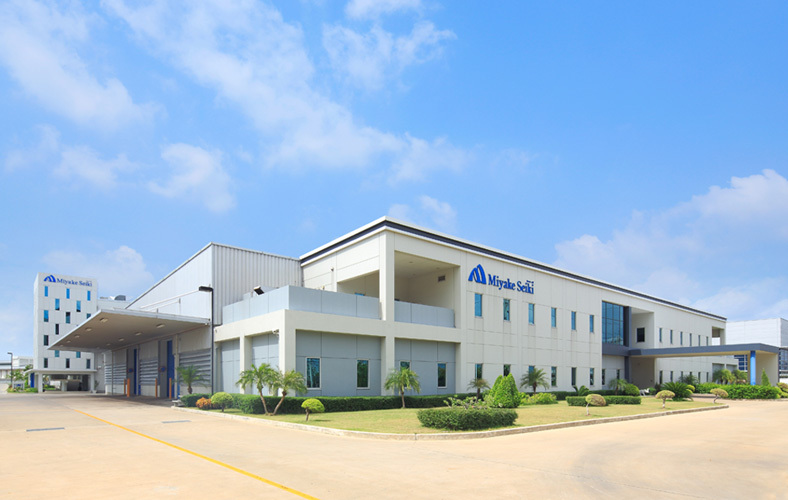 We also have established a gear trial production department at the time of construction of the 2nd factory so that we can meet the needs of local customers. We expect the growth of business in Thailand in the future. We aim to become a company that can support total product development from trial production to mass production at the development stage, make the most of the technology and experience we have cultivated, actively challenge new things. We would like to continue to contribute to a prosperous and dreamy future.